For the second day in a row, Guinness and Nigerian Breweries have dragged the equity market in Nigeria to another poor session. 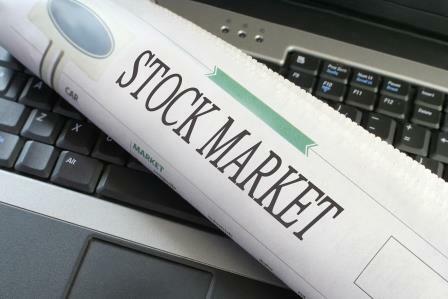 On Tuesday, fall in the price of the two blue chip stocks crashed the Nigerian Stock Exchange (NSE) by 0.17 percent. Today, the market pointed southward by 0.58 percent, courtesy Guinness and Nigerian Breweries Plc and 17 other equities, which depreciated. Guinness led the gainers’ log on Wednesday after dropping N3.24k to close at N62.11k per share, while Nigerian Breweries lost N2.38k to end at N126.82k per share. Also, Cadbury slumped by 75k to finish at N7.80k per share, Zenith Bank fell by 70k to finish at N14 per share and Forte Oil weakened by 68k to close at N47.1k per share. But on the other side of the table, Seplat improved by N12 to end at N400 per share and Vita Foam increased by 8k to close at N1.80k per share. In the same vein, NPF Microfinance Bank appreciated by 5k to finish at N1.17k per share, while NAHCO also went up with the same margin (5k) to end at N2.50k per share and NEM Insurance rose by 2k to wrap the day at 83k per share. Business Post correspondent reports that the volume of shares traded on the floor of the NSE on Wednesday depreciated a day after the National Bureau of Statistics (NBS) released a report revealing that the country’s economy contracted by 1.51 percent in 2016. Investors exchanged a total of 228 million shares in 2,958 deals valued at N2.4 billion in contrast to 444.5 million units posted yesterday in 3,336 deals worth N3.7 billion. Our correspondent further reports that the market capitalisation declined by N50.5 billion to close at N8.71 trillion, while the All-Share Index went down by 145.98 basis points to end at 25,183.10 basis points.